Celebrate Easter the whole month at Millionaire Casino with thrilling online casino slots. The Great Egg Hunt promises an exciting time for online players, as there is a terrific prize and you get to play on the casino slot game – The Funky Chicken. The Hunt has begun on April 1 and will continue till April 30 midnight, and one minute more, that is, till 12.01 am of May 1. Even if you missed the excitement the entire month, you can register for the Hunt until 5 minutes before its end time. The Millionaire casino operates on Vegas Technology software for online casinos. Its license is in the jurisdiction of Barbuda and Antigua and the casino is a division of the English Harbour Group. Win this cool online casino tournament and you get $25,000! This is half the prize pool. If you manage to reach the second position on the leader board, you take home $5,000; and if you end up at the third position, you still manage to grab $1,000. For the first 40 winners, the prizes are in cash. After this, you get online credits for the casino. 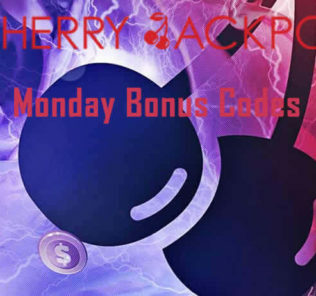 There are casino credits worth $10 for the next 60 positions on the leader board, whereas for the next 2,736 positions, there are credits worth $5. You can use the credits for playing other games at the Millionaire Casino. You need to pay $10 entry fee to get into the Great Egg Hunt casino slot online tournament. This $10 gives you a stack of chips for starting the game. Their worth is $200. The great thing about the tournament is that you can re-buy the chips if you notice your balance is less than $5 and you would like to continue with your efforts to grab the first prize. Re-buys cost the same, $10, and you get another chips tack worth $200 for a fresh start in the game. There are other fun tournaments at Millionaire Casino this month. They include the Weekender tournaments, the Slottery tournaments, video poker tournaments, online blackjack tournaments, and online roulette tournaments. The first two tournaments have an entry fee of $5. The winner may take the pot, but there is no prize guarantee in any of the casino slot online tournaments. You can also play shorter tournaments with an entry fee ranging from $1 to $3. Again, you play them for the pot. There is one tournament, apart from the Great Egg Hunt, that offers prize. It is the Weekend Blackjack Classic tournament. It begins every Friday and continues till Sunday. You win $5,000 prize pool and spend a meager $10 for the entry fee. So, if you are seeking good money from online gaming, Millionaire Casino is the place to be this April. The series of tournaments extending the whole month offers lots of opportunities to show off your gaming skills and take home great prizes.